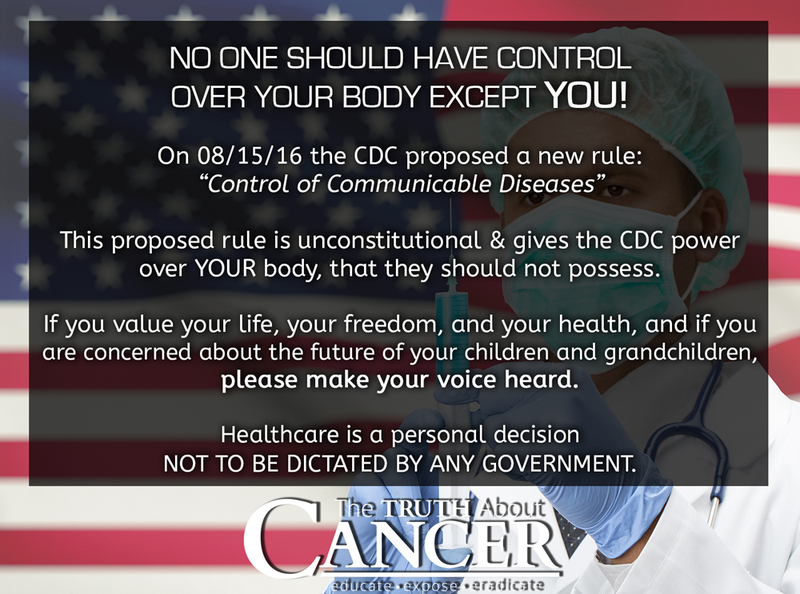 URGENT: CDC ATTEMPT UNCONSTITUTIONAL “POWER GRAB” | "Global Possibilities"
On August 15th, 2016, in an unbelievably draconian attempt to claim control over YOUR body, the U.S. Centers for Disease Control and Prevention (CDC) issued “Control of Communicable Diseases – Notice of Proposed Rulemaking” (published in Federal Register Number: 2016-18103). If you have the patience to wade through the linguistic gibberish, legal mumbo jumbo, and medical doublespeak, you’ll see that this proposed rule would give the CDC the power to apprehend, detain, and vaccinate YOU against your will and without your consent! If you read between the lines, you’ll see that if this goes into effect, anyone in the USA who is “suspected” of carrying a communicable disease can be detained, quarantined, and “medically treated” (i.e. forcibly vaccinated). All under the guise of “protecting” us from some new strain of virus (like Zika) or some phony pandemic (like Ebola or West Nile or Swine Flu). But that’s not even the focus of this article. I’m trying to sound the alarm that this is an attempted authoritarian power grab of unprecedented proportions! 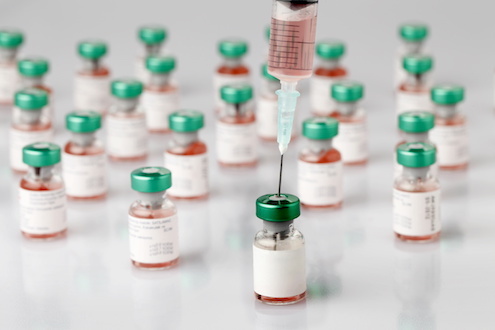 Regardless of your opinion about vaccines, the real issue is whether the U.S. government has the right to force any medical intervention upon its citizens. The real question at hand is “who owns your body?” This proposed rule is a blatant declaration that the U.S. government (and CDC) own your body. I guess they don’t believe that each individual has certain inalienable rights that cannot be disregarded or abandoned. Has the CDC ever heard of informed consent? You know, our right to decide whether or not we agree to a medical procedure based upon being given all the facts? A frightening portion of this proposed rule states “the individual’s consent shall not be considered as a prerequisite to any exercise of any authority under this part.” In other words, the CDC can force any medical treatment that they deem to be appropriate, and it doesn’t matter one iota whether you consent or not. In my opinion, the CDC is attempting to create a “medical fascist police state” which trashes the U.S. Constitution and Bill of Rights and where citizens are no safer than the Jews in Nazi Germany’s concentration camps. You see, the Nazis claimed ownership over Jewish people’s bodies and eventually rounded them up and took them to the death camps, where many of them were forcibly vaccinated and eventually murdered. If this totalitarian, tyrannical proposed rule becomes law, you can literally kiss your freedom goodbye. If you value your life, your freedom, and your health, and if you are concerned about the future of your children and grandchildren, please make your voice heard. Don’t be a sheep. In 1787, Thomas Jefferson, writing from Paris in a letter to Edward Carrington, said that a nation of sheep would result in a government of wolves. Let’s join together and let the wolves of the CDC know, in no uncertain terms, that we won’t take this any longer and that this nefarious proposed power grab is not acceptable. Please file your comments at this website before October 14, 2016. At this link, click the green button near the top right that says “Submit a Formal Comment” and express your concern / disapproval / outrage over this proposal.